Home » Gallery » 2.49. Pleasure Island. Pleasure Island. Tintype. Album 2. Page 49. Here is one of the rare family group shots included in the Chapman albums. 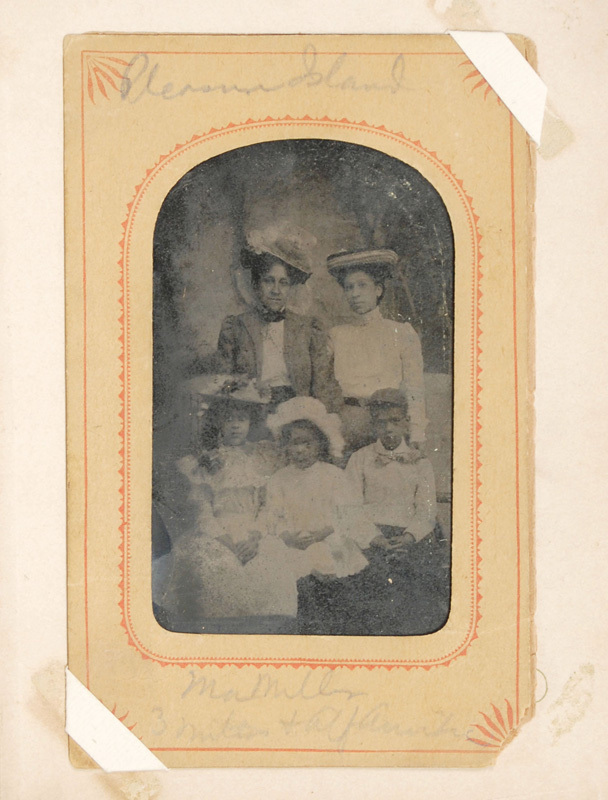 Its caption notes that the figures include “Ma Miller,” Arabella herself seated next to her sister Harriet Alfarata Chapman. At their feet are Arabella’s children: (l. to r. Claribel, Harriet Alfarata, and Carroll Aubin . The upper caption notes that the shot was taken at Pleasure Island, an amusement park near Albany, New York. 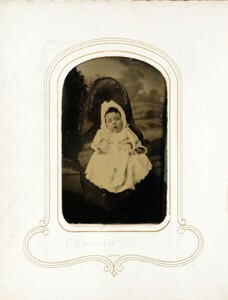 Wouldn’t be surprised if there was a tintype photographer there who took this picture.